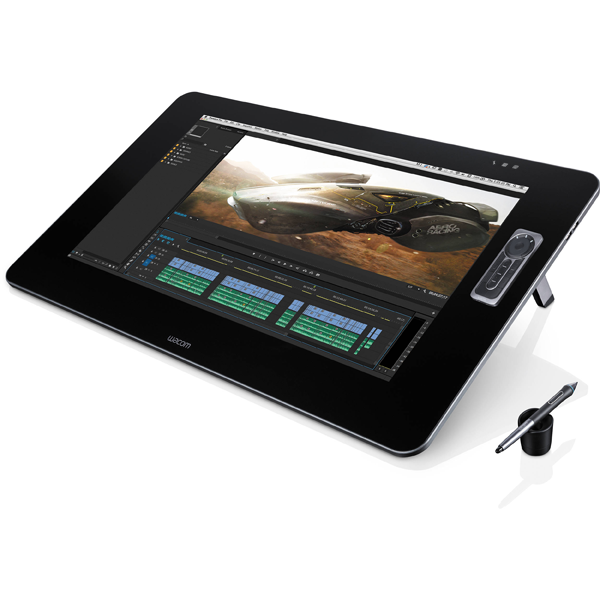 The Cintiq 27QHD creative Pen & Touch Interactive Tablet is a supreme choice for drawing, painting, and image editing and creating 3D animations, all on professional levels. 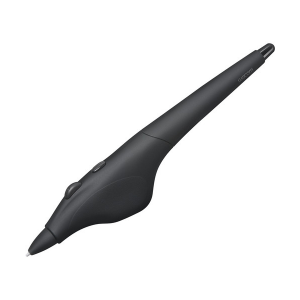 The most convenient yet fully feature packed, Cintiq 27QHD Pen & Touch Interactive Tablet is the most desired tool for bringing imaginations to reality. 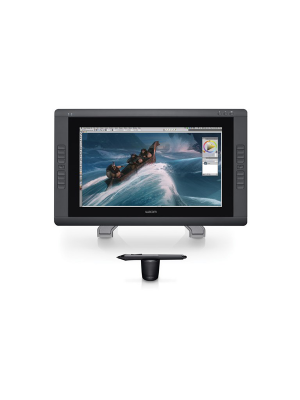 Facilitated by 1.07 billion colors and a wide screen display, the Cintiq 27QHD delivers exquisite image quality with true-to-life resolution. 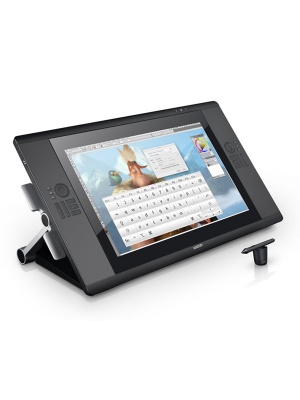 The Cintiq 27QHD enables the user to touch the screen in order to pan, zoom, rotate and activate on-screen controls for a smoother and more instinctive workflow. 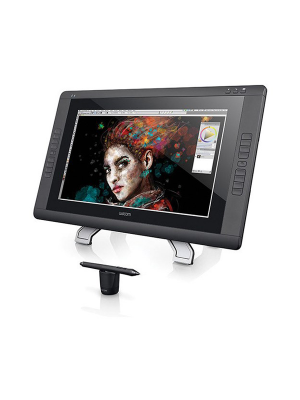 A blend of creativity, class and supremacy, the Cintiq 27QHD unleashes new heights to creativity and allows one to freely express their imagination. 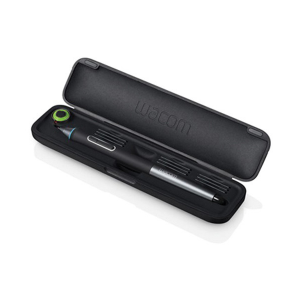 Wacom Cintiq 27QHD Touch Interactive Tablet boasts a brilliant HD display that has 4x more resolution than a standard HDTV. 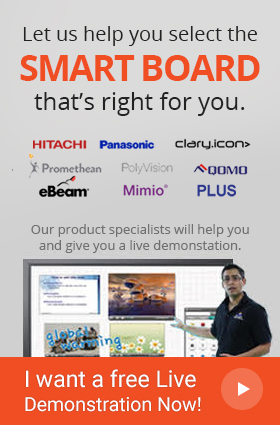 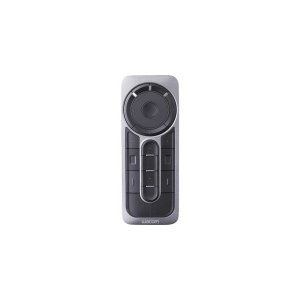 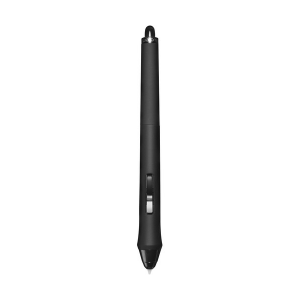 The screen can display up to 1.07 billion colors and is equipped with all the features that a professional needs for drawing, painting, image editing, creating 3D animations, etc. 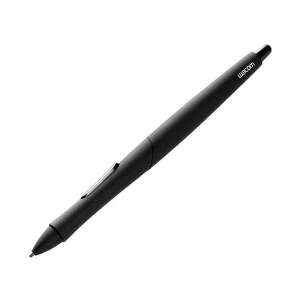 The Wacom Cintiq 27QHD Touch gives its users complete freedom of choosing either to use their fingers or the available pro pen. 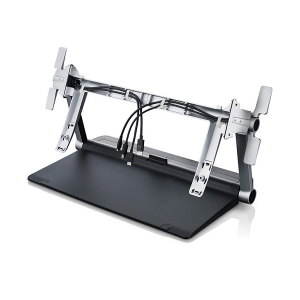 With their fingers, the users can have greater control over the precise touchscreen and the various features of the Interactive Tablet.